There's a Daikin for every home. 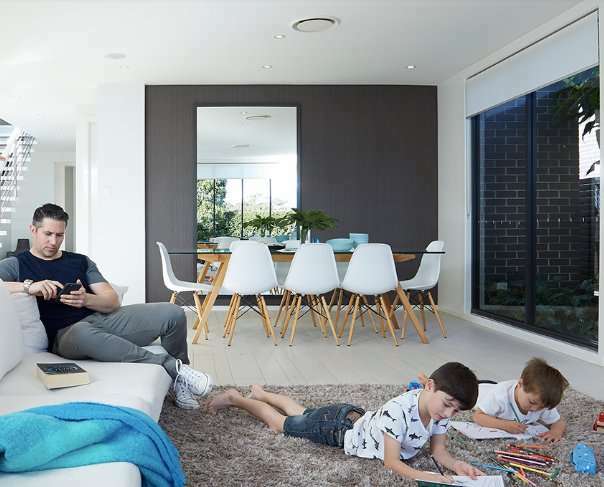 Whether you're air conditioning a small or large area, renovating or building a new home, Daikin's comprehensive range of air conditioners will provide you with the perfect solution for your home and needs. Purchasing products from quality suppliers gives our customers the extra comfort in knowing there will always be the on going support required to keep their purchase in good working order for years to come. Whether it be a new build or retrofit into an existing home, double or single story we do it all! We provide quality service, maintenance, repair, and installations for all types of air conditioning systems, and we guarantee all of our work. Our main focus is to provide 100% customer satisfaction and provide the best service possible. Climate Link is your one stop shop for all of your Daikin Air Conditioning requirements, specialising in the supply and installation of quality Ducted and Split systems. We are sure to have a solution that fits your needs. Is it some maintenance assistance you require? We are always there to attend to all of your maintenance needs. We have the experience and the resources to attend to all of your servicing and repair requirements. Contact one of our friendly staff they will be only to happy to assist you with your enquiry. Daikin take pride in designing products that provide clean, efficient, and superior comfort in the places we live, work and play.